Lots of people have told us Nora looks like the Gerber baby and we have even been approached at the mall to see if we had considered a modeling career for her. All of that’s nice to hear, but we’ve never seriously thought about submitting her photo for anything. Until now. Apparently, Gerber is looking for a new cover baby. And the winning child gets a $25,000 college scholarship – which was enough for Chris and me to submit her photo. The thing is, both of us have a lot of student loans. We are paying so much each month that we could be making several car payments with the money…or paying for a house. It’s definitely very frustrating, and it’s something that we don’t want Nora to have to experience if we can help it. And so, I’ve decided that it’s not a creepy stage-parent thing if I’ve only done it one time and only because a college scholarship would be a very good thing. Right? Anyway, for her to win, we need your help. The winning child is the one who gets the most votes. 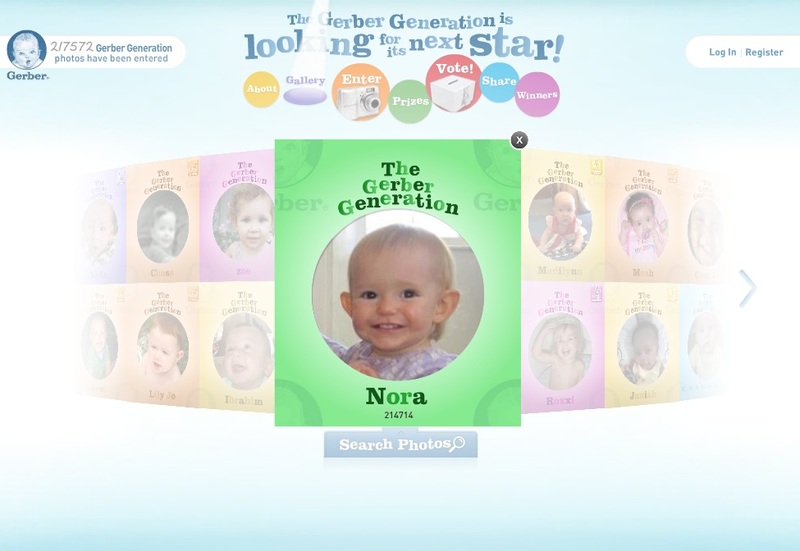 Starting today, December 3rd, and until December 31st, we need people to go to http://www.gerber.com/photo/#/vote and vote for Nora. You can find her on the site by searching with her first name and city or with her entry ID, which is 214714. You can vote one time per day per email address. Please help Nora win a college scholarship! Go vote for her every day and tell everyone you know to vote for her (an easy way to do that is to use the button below to share this post on Facebook).